Here is a super tasty and healthy side dish, which is very easy to whip up. I would eat this with a bowl of steamed rice and maybe just some eggs! 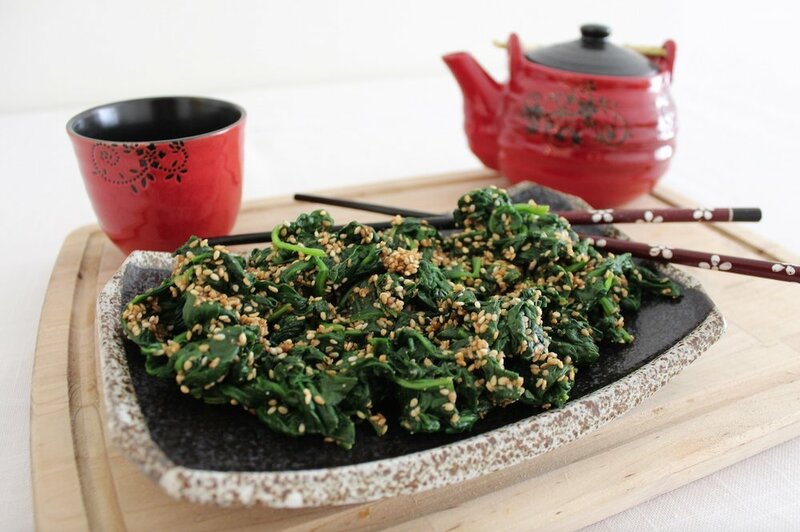 Spinach is a great source of iron and vitamins and minerals to help keep you full of energy. Cut off the larger stems of the spinach and wash thoroughly. Making sure you get all the grit out! Nothing worse than a bit of grit in your teeth when eating, my pet hate! Squeeze out any excess water and put spinach into a mixing bowl. Add the soy sauce and sugar and blitz or pound until you get a rough paste.